Nurserymen and Orchardists have been using corrugated plastic Tree Guards for over 25 years with great success. 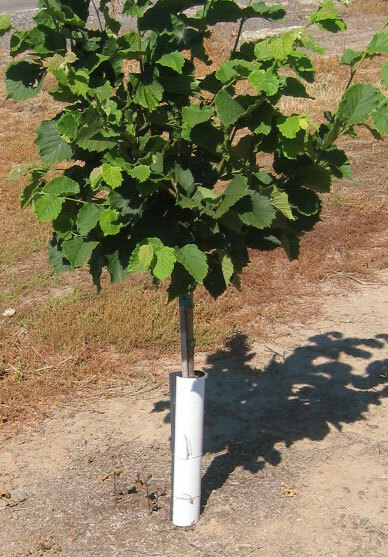 Farm Wholesale Tree Guards are easy to wrap onto tissue culture tree trunks to protect their thin, sensitive bark for years. Our tree trunk protectors are black and ribbed on the inside for cushioning and white on the outside to prevent sunscald. Farm Wholesale trunk protectors are easy to install. Wrap the flexible tree guard around the tree trunk with black facing inside and white facing outside and secure with our twist ties (SF-730). The Tree Guards can be adjusted to grow with your tree. Tree Guards store flat easily or keep them on the tree for "added value" in the retail and wholesale industry. 4' and 5' long natural bamboo stakes also available. 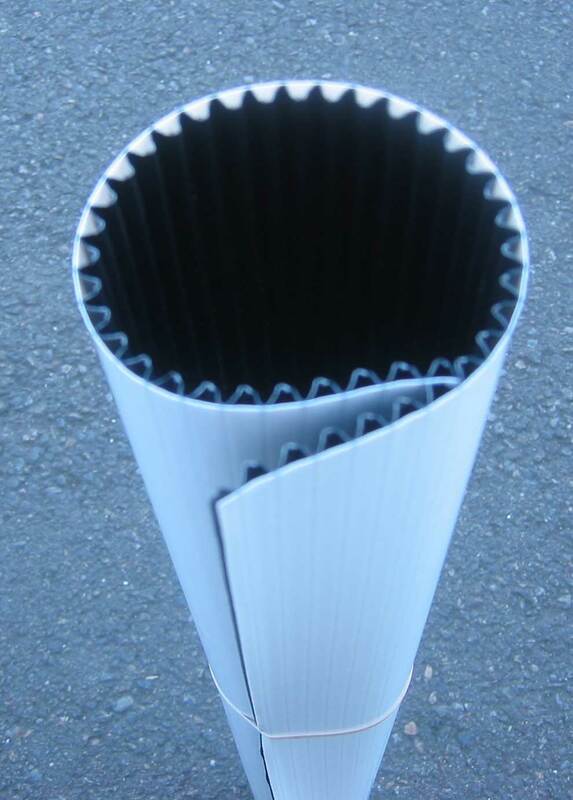 Corrugated Tree Guards are available for sale by the piece or by the pallet. For more information on the types of trees that benefit from tree guards, click here. Contact us for pricing, availability or a sample. To print the Tree Wrap Flyer, click here. Wire Twist Ties - 16"